Με την ενεργό συμμετοχή σας! 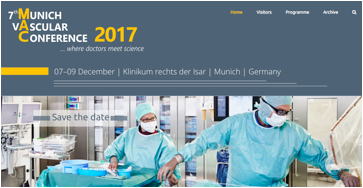 On behalf of the MAC organizers and in my capacity as president of the IVD it is my pleasure to invite the Greek community of vascular surgeons and endovascular specialists to the 7th Munic Vascular Conference (MAC) which will be organized on December 7-9, 2017 in Munich, Germany. The program is now available here. You have the possibility to attend one of the best European vascular scientific meetings. The 7th MAC will continue to be a platform for mutual exchange between vascular clinicians from all medical specialties and colleagues from translational and basic research. Both sides will benefit from each other: clinicians have the chance to learn more about translational research and the evolution of cutting-edge technologies (including their pros and cons) and translational researchers may get a better understanding for the needs of vascular clinicians and their patients. 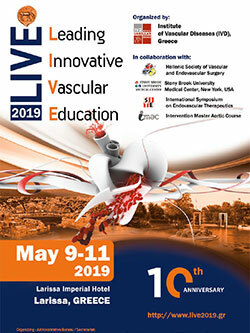 In order to support participation of the Greek community of vascular surgeons and endovascular specialists 25 free registration will be offered. To claim free registration you are kindly requested to send you e-mail at info@ivd.gr the latest by December 1st 2017. Registrations will be handled on a first-come first-served base.